Our mobile strategy title Empire: Four Kingdoms, lovingly known as “E4K” by us Goodgamers, is three years old! This is definitely a great reason to throw a party befitting of the occasion! 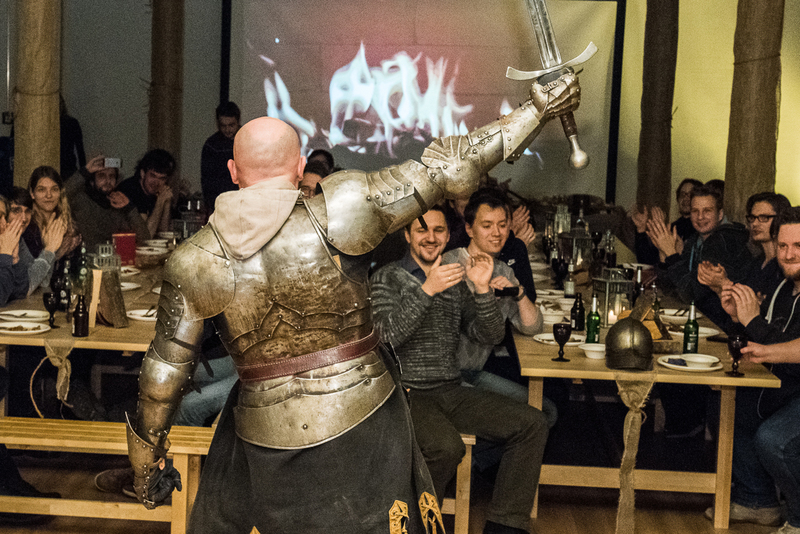 Together with their colleagues who develop the Goodgame Empire browser version, the team enjoyed a delicious banquet. An abundance of hearty dishes were laid out, and the “knights-in-training” could even try out real swords and armor! They deserved it after all. Even three years after the game’s release, the Empire: Four Kingdoms team, part of our Strategy Games Studio, continues to bring new and exciting regular updates to more than 50 million players. They have been so successful at this that Empire: Four Kingdoms was recently honored with a “Best of 2015” award from Google and secured itself a spot in Facebook’s “2015 Games of the Year” list. The game has even become the most successful app of a German developer worldwide! We sat down with Malte in order to provide you some exciting inside information from an original E4K developer who has shared in the design and success of E4K since day one. 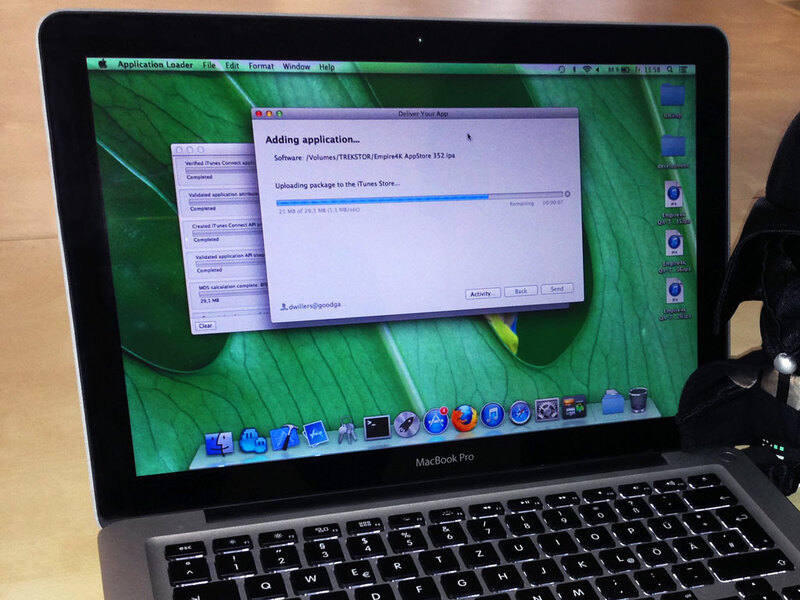 As First Client Developer, Malte is responsible for Empire: Four Kingdoms’ technical aspects. He ensures that the programming is of the highest quality and that the team sticks to the technical guidelines. He works closely with the project managers to plan updates, and he serves as the point of contact for other teams like QA, game design, server development, and localization. Three years of E4K, and you’ve been there since day one! How do you feel today on its birthday? It’s truly a great feeling! It’s amazing to see how our “little E4K” has grown into such a tremendous empire with millions of players around the globe. On behalf of the entire team, I’d like to thank our loyal fans out there. The success of the game would have never been possible without your passion for Empire: Four Kingdoms! What was it like when you started working on Empire: Four Kingdoms? Since I have been there from the very start, I have a special relationship with the game. 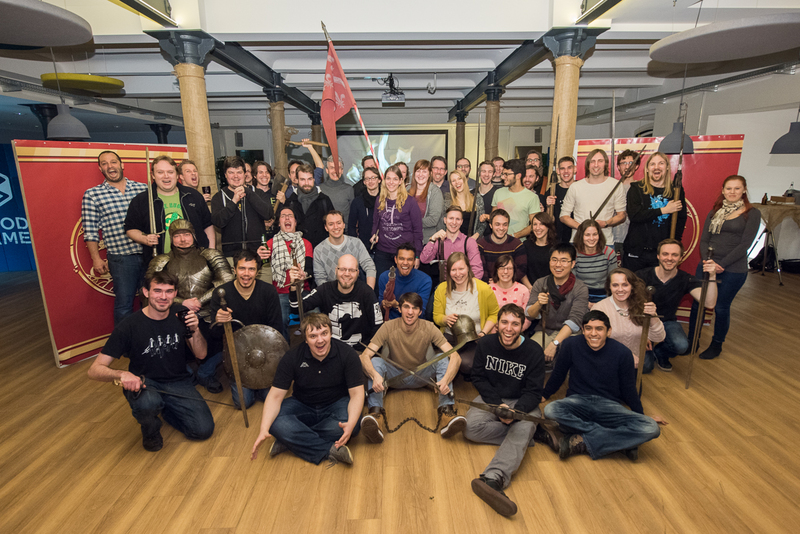 The successful release was only the beginning for us – Empire: Four Kingdoms has become a tremendous success! It makes me proud to see what we have achieved as a team and how every one of us has developed. The team has meanwhile grown much larger, we currently have 16 client developers and three server developers working on technical implementation alone. This means we also have a lot more opportunities to review the quality of the software in code reviews, continue to improve the game’s performance, and attend a training day every two weeks where we can work on our skills. We still have big plans for Empire: Four Kingdoms, of course – we’re not lacking in ideas for new, exciting content. We are constantly working on bringing these ideas into the game to provide more fun to our player community.